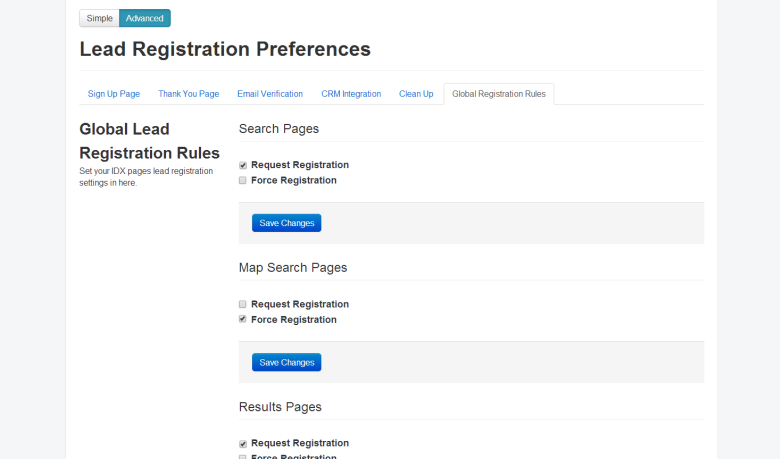 Control your lead registration preferences per individual search page. Choose when and how you prompt your site visitors to register their information. Set different force/request lead registration preferences for your standard search page vs. a custom foreclosure search page. Set different rules for results, details, and map search pages! 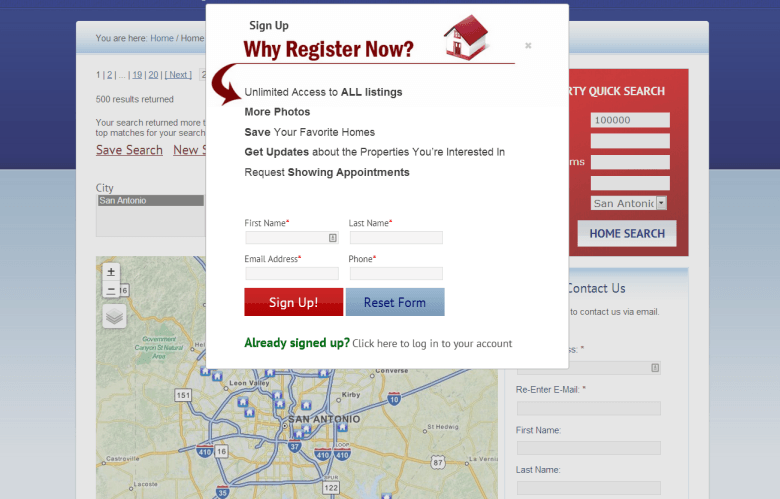 Automatically generate a button your visitors can click to bypass any requested registration form. Find the best combination that works for your market!